J.A. 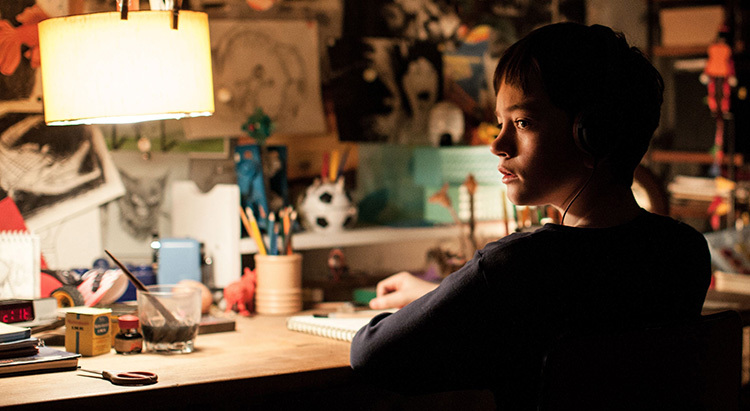 Bayona knows that childhood can be a scary, perilous time. The Spanish director’s first major movie, The Orphanage (2007), was a poignant, unnerving haunted-house horror tale about ghosts of the deep past. His second, The Impossible (2012), swept a couple (Naomi Watts and Ewan McGregor) and their three children away in the great Indian Ocean tsunami of 2004. 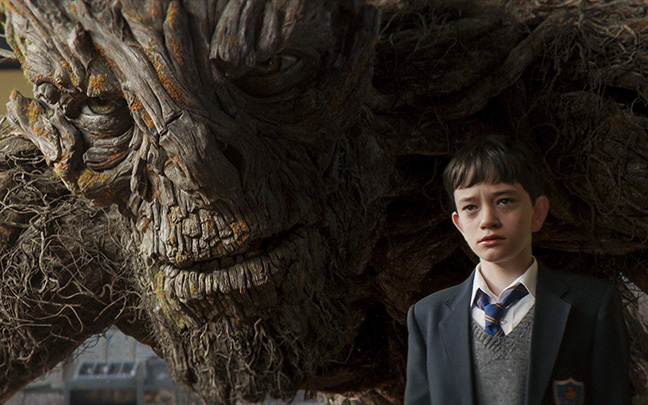 Now A Monster Calls finds a 12-year-old boy, Conor (Lucas MacDougall), visited in the night by a giant “tree monster” who tells him a series of stories to help him cope with the inevitable consequences of his mother’s incurable cancer and the bullying of his schoolmates. Is the monster (voiced by Liam Neeson) a fantasy creature from Conor’s dreams, a figment of his fertile imagination, or one of his pencil drawings come magically to life? Like the ancient, towering tree that “becomes” the monster every night, just past midnight at exactly 12:07 a.m., there’s a lot going on both above the surface and beneath it in this beautiful-looking film of great depth, heart and soul. It’s a coming-of-age tale of a boy and his mom (Felicity Jones, who’s terrific), and how he gets tangled up by his grandmother (Sigourney Weaver) and his estranged father (Toby Kebbell), who’s now remarried and living stateside. Not to mention those bullies, who tease and threaten him, push him around, ambush him in the schoolyard and debase his artwork. 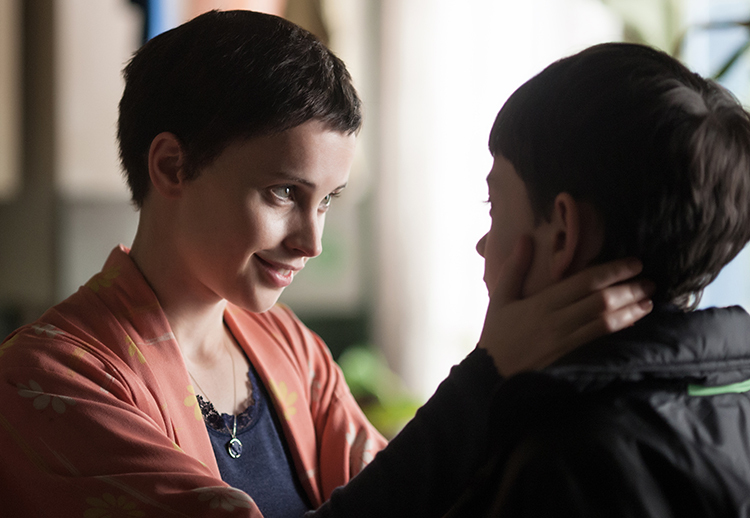 Felicity Jones plays Conor’s mom. Conor is haunted by a recurring nightmare about being on the maw of a dark, seemingly bottomless pit, where he’s holding on for dear life to the hand of his mother, who’s fallen over the edge. Curled up one evening on the couch with her, watching King Kong on late-night TV, it’s no wonder Conor can relate to the great beast, dogged by biplanes peppering him with gunfire until he can no longer hold on to the top of the Empire State Building. The mighty Kong loses his grip and falls to his death. Conor’s eyes fill with tears and he asks his mom why Kong had to die. Why did people hate him? Why did they kill him? “People don’t like what they don’t understand,” she tells him. Young people will certainly be able to relate to Conor and his plight, an adolescent symphony of anger, resentment and righteous rage that will ring true in a variety of circumstances. Grownups will appreciate the movie’s craftwork and gorgeous artistry, especially when the monster tells Conor his stories; each one is a mini-parable with a lesson, illustrated and animated differently. Monsters come in all shapes and sizes. If they more of them were as cool as a storytelling tree that sounded like Liam Neeson, maybe the world might not seem like such a scary place.